501 different coins from all over the world and through all eras! This collection was assembled by one of our suppliers for a promotion 43 years ago - then forgotten in their warehouse. The set comes in a drawstring bag. 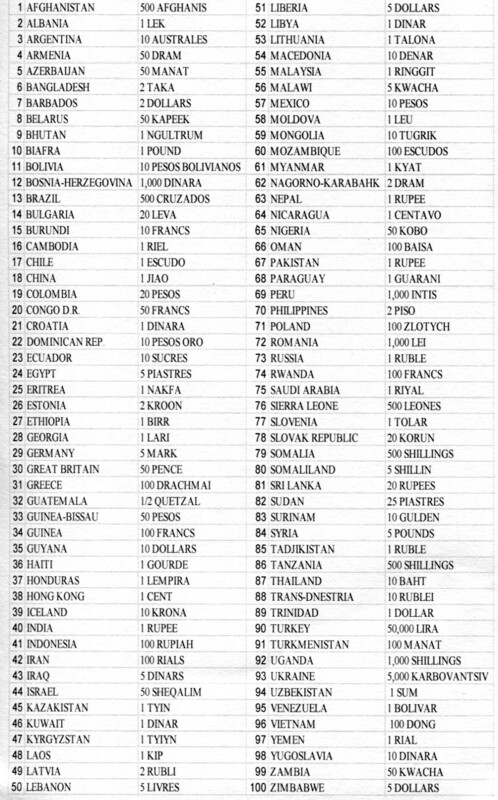 It includes 125+ countries. The coins are all 1975 or older. About 60% are Uncirculated. The coins have a Krause catalog value of $500+. 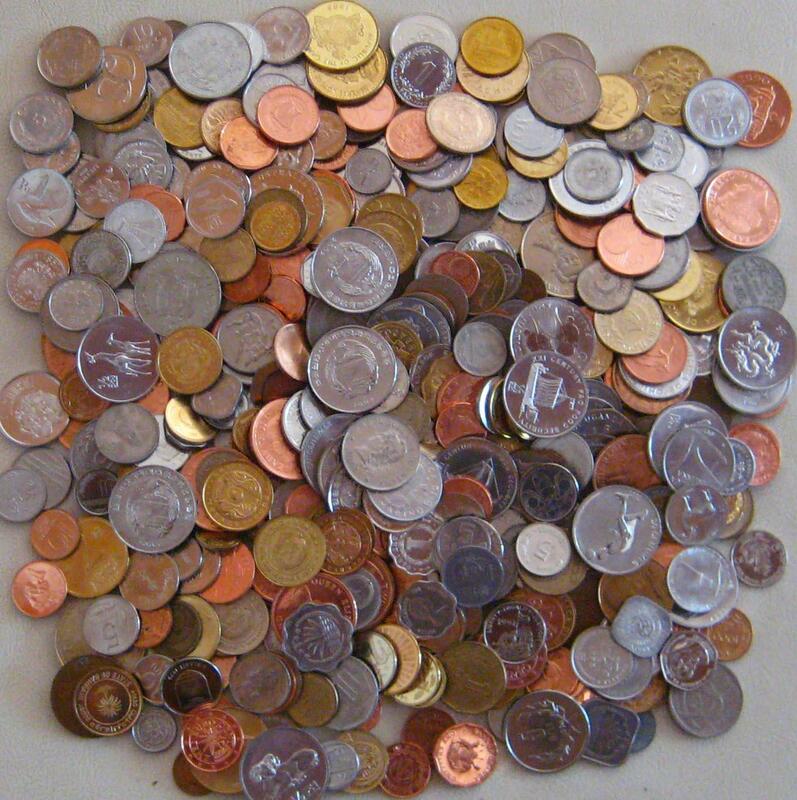 It is an impressive group of coins which would be difficult to assemble today. This is a great for starting or expanding a collection, for dealer's stock, or a wonderful way to introduce kids to collecting world coins. This is a wonderful set, especially for beginners or someone who wants to expand their collection. It contains 500 different coins from about 150 countries from around the world. About 85% of the coins are Uncirculated. 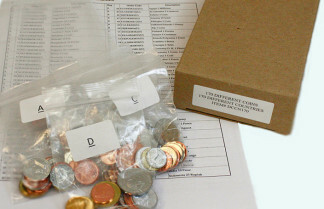 The coins are loose, however the set comes with a list of the coins included. It is an impressive assortment that would be difficult to obtain at a price this low for this variety of world coins. Click Here for a sample list of coins included in this set. Actual coins included may vary slightly. 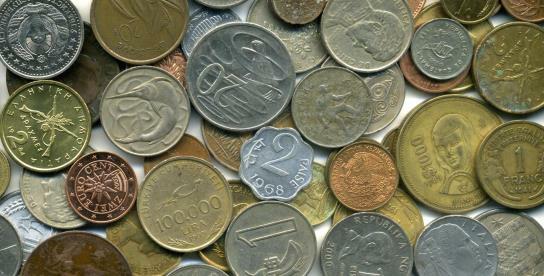 These collections include all different coins from all different nations from around the world. 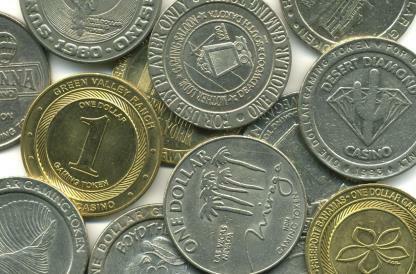 The coins come with a listing which assists in identifying which coins are from which nations. All coins are Uncirculated. It is a great way to learn about the world or build a one-coin-from-every-country collection. 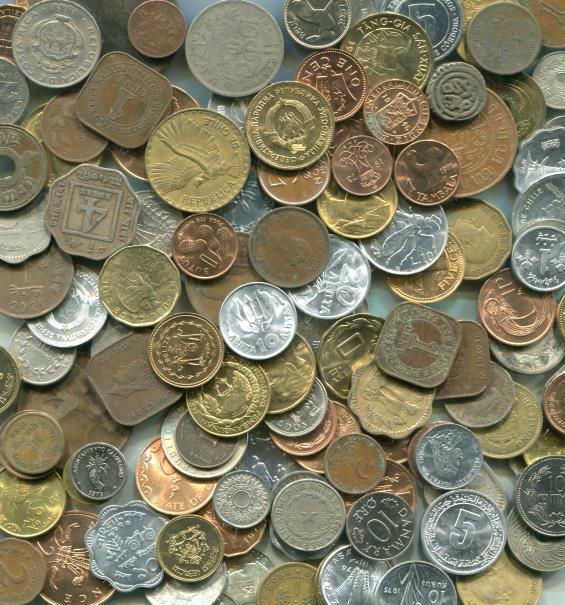 These Pound lots include a wide assortment of coins from all over the world. 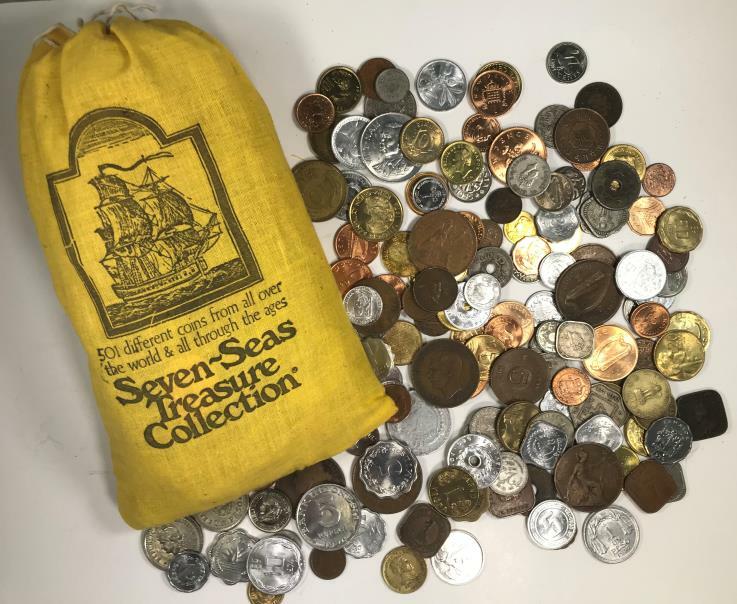 The coins come from collections we purchase, leftovers from other dealers stock, foreign coins found in parking meters, bus fare boxes, and other sources. As coins come in they are poured into a large bucket on the kitchen floor (that Lila would love to get rid of). There are usually about 100 or so coins to the pound, depending on the mix. 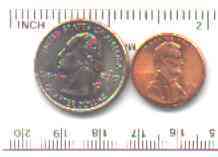 Most coins are circulated. These lots are as unsorted. As the orders come in the coins are scooped up, weighed and bagged. Each pound contains coins from many different nations. These lots provide hours of fun for both kids and adults. These make great gifts, good educational projects to help children learn about other nations, or are just having fun of sorting through a pile of world coins. 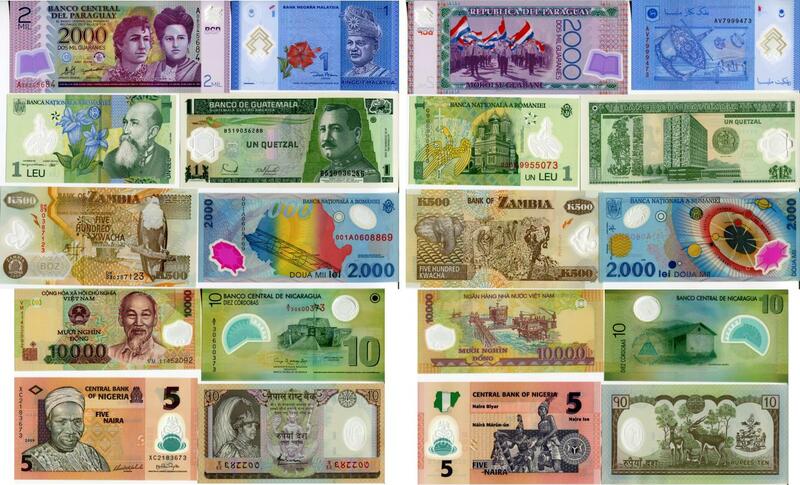 Collecting banknotes is a colorful, fun and educational way to learn about the world. Each note is a small piece of art that reflects what each country feels are its important cultural aspects. These sets are a great for starting or expanding your collection. 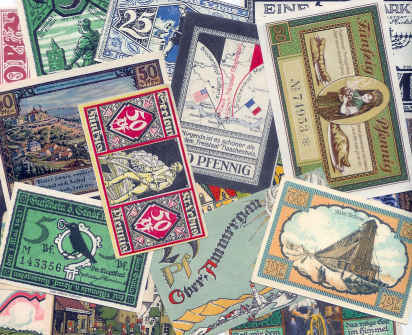 These sets contain attractive and colorful notes from throughout the world. 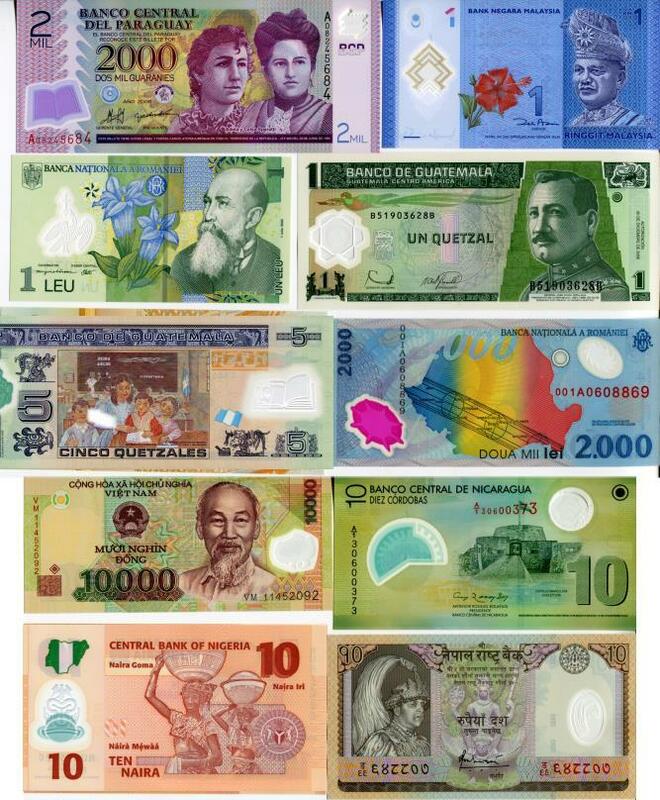 The lots of 50 different, 100 different and 1000 different banknotes provides a good selection of notes, however there will be more than one note from each country. 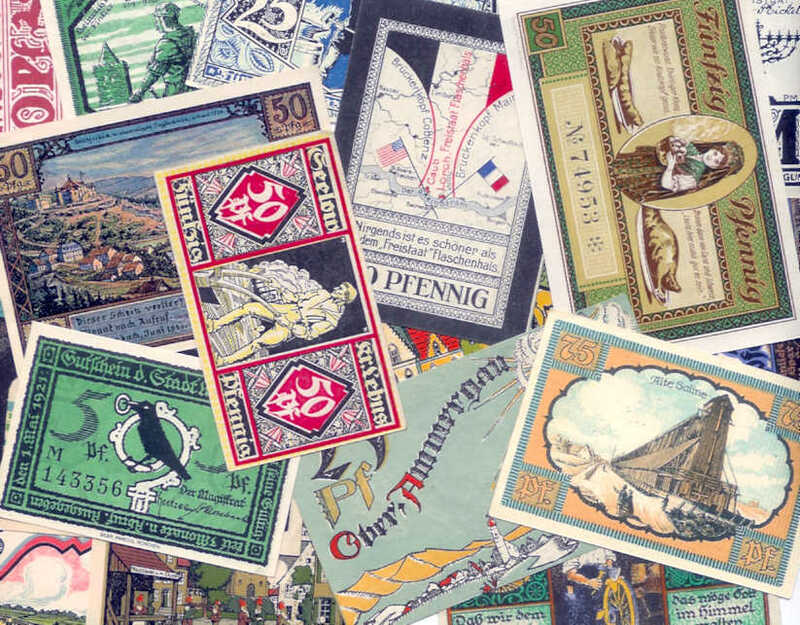 The larger lots contain a wider variety and more higher value notes than are in the smaller lots (and it is a LOT tougher to find 300 different notes than it is to find 50 different notes). And the 1000 different world banknotes is almost impossible to put together. The larger lots contain the notes from the smaller lots. 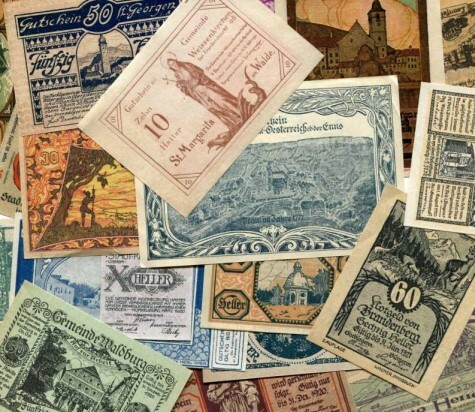 For those that want banknotes from a lot of different places, we offer a lot of 50 banknotes from 50 different countries and 100 banknotes from 100 different countries. 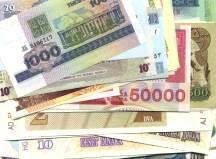 All notes are Uncirculated. 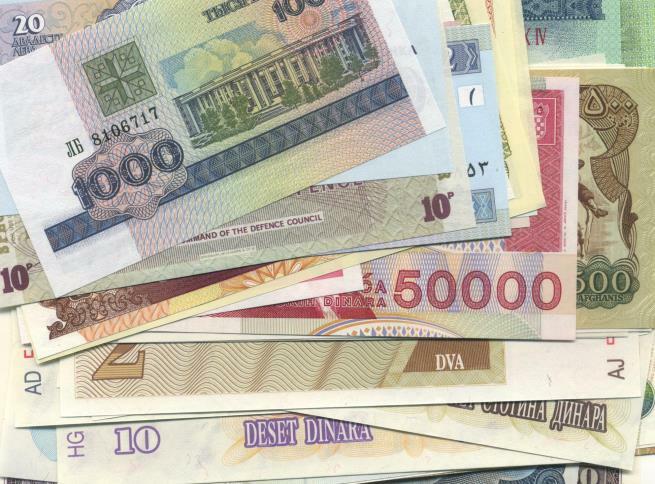 Since they were first introduced in 1988, polymer (plastic) notes have become widely adopted by by many countries due to its durability and difficulty to counterfeit. The notes have also become very popular with collectors due to their colorful designs and sophisticated anti-counterfeiting devices. The notes may contain a variety of anti-counterfeiting devices such as transparent areas, latent images, diffraction grating. Ultra-violet images and embossed areas. We have assembled a set of 10 different of these popular polymer notes. Included is Guatemala 1 Quetzal 2006, Malaysia 1 Ringgit, Nepal 10 Rupees (2005), Nicaragua 10 Cordobas 2007, Nigeria 5 Naira 2009, Paraguay 2000 Guaranies 2008, Romania 2000 Lei 1999 Solar Eclipse, Romania 1 Leu 2005, Vietnam 10,000 Dong all in Uncirculated condition. With the disappearance of the silver dollar from circulation in the 1960’s, casinos began to issue their own Dollar tokens for use in slot machines. Issues expanded as slot machines became legal in more jurisdictions across the United States and they have become a popular collectible. Now that most casinos have switched to using tickets or cards rather than coins, the tokens are getting difficult to find. We have assembled groups of 20 different Dollar slot machine tokens. Most are from Nevada. No two lots will be the same. We completely sell out every time we offer these. These tokens, also known as Scrip, Dingles, Clackers and many other names, were issued by coal companies as an advance on wages when miners needed to buy mining supplies for their work, food or necessities for their home, pay rent on the company owned home, obtain medical care or almost any other aspect of life in a company town. Of course, they could only be used at company stores, where prices tended to be high. The value of the scrip would then be deducted from a miner's pay on payday. Miners could easily “owe their soul to the company store”. Metal tokens were widely used from the 1920’s to the 1950’s. During World War II fiber scrip was introduced in order to save metal, which was needed for the war effort. Most tokens had the name of the mine or store on it, and were often punched with the mine number or initials of the town. We have a historic collection of 10 different West Virginia (and manbe nearby states as well) coal scrip tokens, ranging in value from 1 cent to 1 Dollar. Included is the scarce World War II era fiber tokens. The tokens grade from Very Good to Uncirculated. It is an interesting and historic set. ARMY AND AIR FORCE EXCHANGE (AAFES) POG "COINS"
The Army and Air Force Exchange Services, commonly known as AAFES or just the Exchange, provides goods, services and fast food to members of the United States armed forces and their families throughout the world. Prices are often lower than those found in nearby communities and most of the profits go to support the military's Morale, Welfare and Recreation programs. Because of the cost and difficulty in supplying coins to bases in Iraq, Afghanistan, and the Middle East the AAFES produced these POG coins. They are issued in the denominations of 5 cents, 10 cents and 25 cents and are printed on thin colorful 40mm plastic discs. 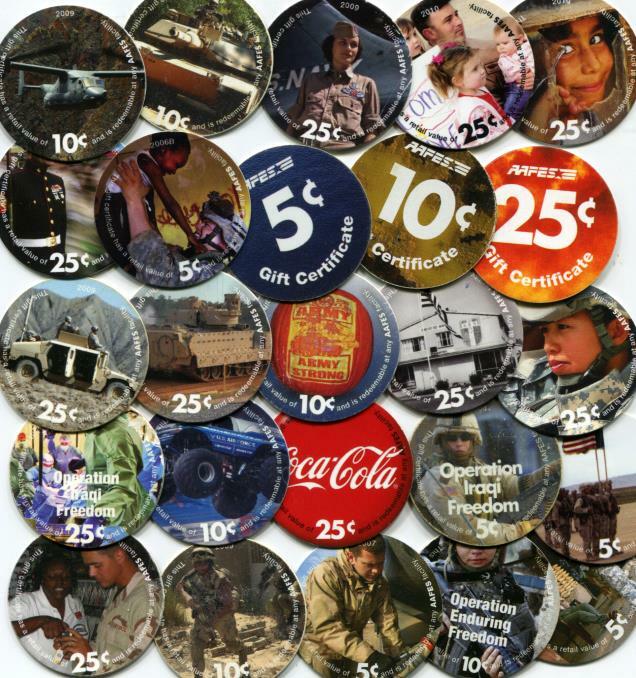 To avoid legal difficulties against issuing currency, the POGs are labeled as "Gift Certificates". The obverse has the denomination and the words "AAFES GIFT CERTIFICATE". The POGS are issued in series, with a dozen or more reverse designs issued for each denomination for each series. Since about 2003 each series has been dated. Though they are only issued at forward bases, they may be redeemed at any AAFES facility. The POGS are listed in the Standard Catalog of World Paper Money, Specialized Issues. They are a fascinating but little known military currency collectible.